Newly released Hover Camera Passport is an idiosyncratic flying camera that focuses on long-lasting and portable design and is well under FAA’s limit of 250gms. The Hover Camera is from a smaller start up called Zero Zero Robotics. 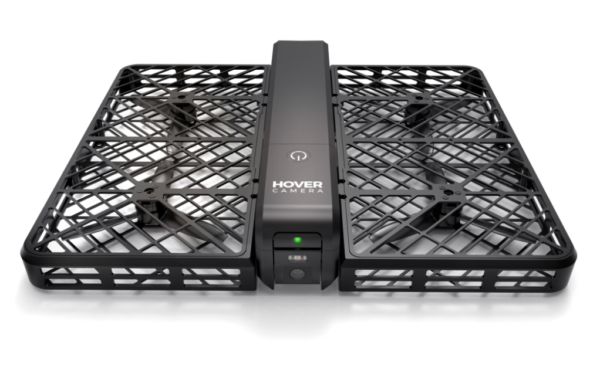 The new Hover Camera Passport is a drone that flies longer with a high end camera and easy to use. Hover Camera Passport strikes more with its design. It sizes of an old VCR tape if it’s folded up and is astonishingly light weighted. It also possesses protective grates that offers safety. The four propellers are within a caged enclosure built up of Carbon fibre. The consumer friendly Cam is priced at $599 along with an additional $50 discount for those who buy within first two weeks. The 13mega pixel Camera and its capacity to shoot 4K videos make hover a distinctive one when it is compared to fellow competitors. It comes accompanied with a dual-tone flash. It also uses electronic stabilization. It also has sensors including a sonar sensor on the bottom. Sonar sensor is to measure the distance from air to ground which allows safe indoor use. You need to use your fingers to control the altitude and the horizontal direction. Camera’s pitch and drag can be controlled with a single finger touch. The camera app features 360 Panorama mode, face tracking and body tracking. With Hover Camera passport, it is simple to get in the air and capture your life moments. Photo maniacs, it is thus worth a try.